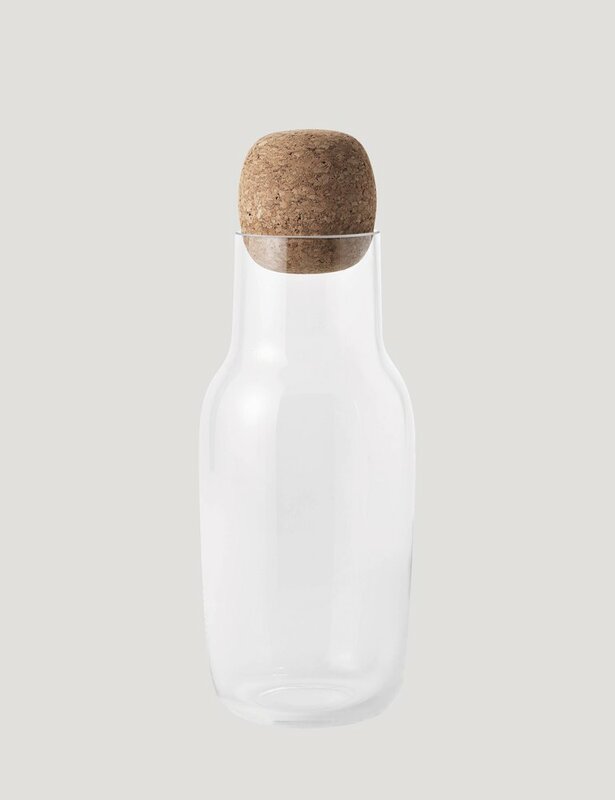 The shape of the Corky carafe is inspired by the archetypical bottle. It is a straightforward combination of glass and cork that functions equally well as a wine carafe, a water jug or even a milk bottle. Corky has simple and familiar form but with a characteristic and oversized detail. ? The cork is large, easy to operate and visible in use.